How Can I Donate A Car That Doesn’t Run? You’ve tried everything, but it’s time to face the facts — nothing is going to bring that old car back to life. For whatever reason, it’s too far gone and there’s no amount of work that will get it running again, or maybe getting it running again just wouldn’t be worth the expense. What do you now? You can’t just leave this vehicle in your driveway or garage to rust away, and paying to have it towed to the scrap yard would hardly be worth it. There’s no way in the world you’ll be able to sell someone a car that doesn’t work, is there? Certainly no one would be willing to just come and take it, right? Can I donate a non-running car? You might be surprised by the answer. In most cases, you still can donate a non-running car to charity, even if there’s little to no chance it will ever run again. Unless your car has been stripped down to the chassis, there’s a very good chance a charity will still be able to squeeze some value out of it — and you’ll be able to benefit from the deal, as well. Not only will you rid yourself of the unwanted burden of an undrivable car, but you’ll also set yourself up to receive a tax deduction once it’s all said and done. Because most charities offer free pickup, getting rid of your old car likely won’t cost you anything. Once a charity accepts your donation, it will sell the vehicle at auction, where even a car that won’t run can still have value. Buyers may be interested in purchasing the car so they can salvage parts such as doors, dashboards or even gear knobs — and be sold as replacement parts. A classified 501(c)(3) charity often will specify that it will accept a donation whether or not it is running, but in extreme situations an inoperable vehicle might not be worth the effort and have absolutely no value. If you’re worried about the condition of your vehicle, send photos of the car or describe it to the charity — before scheduling a pickup — to make sure it will still be accepted. If a charity tells you it won’t accept your car as a donation, it may be worth a try to contact another charity, because there’s a chance that one might consider your vehicle more worthy of the effort. If you have a car that won’t start and you’re ready to get rid of it, contact Goodwill Car Donations. We accept most vehicles, regardless of their condition, and you’ll have the peace of mind that comes with knowing that all of the money from the resale of your donated vehicle goes to support Goodwill Car Donation’s mission-focused programs. We make donating a non-operating vehicle as simple for you as possible. Just tell us about the car, who you are and where it is — we’ll handle the rest. 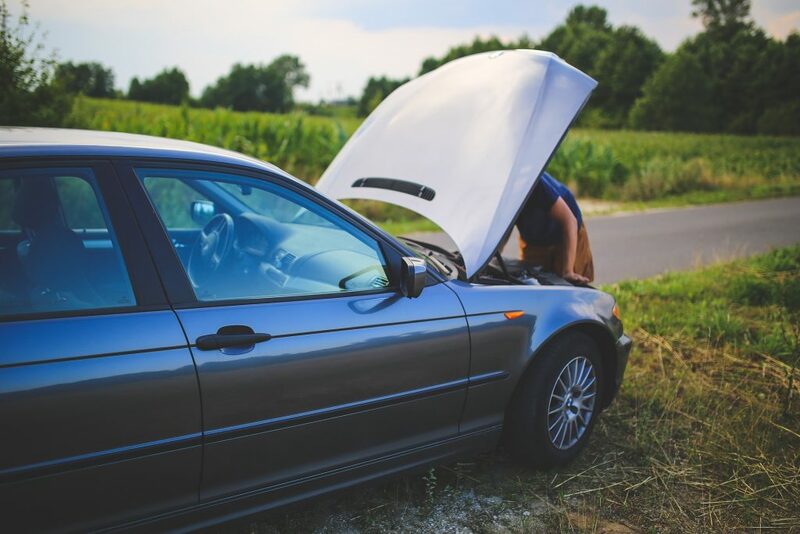 A car that doesn’t run can be an eyesore and a significant burden, but Goodwill Car Donations can take away that burden and provide you with a tax deduction on top of it. Reach out to us today and find out how we can help.